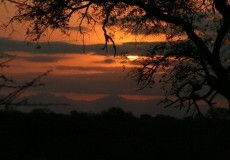 Reach out and touch, and let Africa touch you ………. 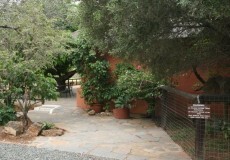 Established by Lolly and Ala Sussens in the early 1980’s, and supported by their sons Ian and Christopher, Tshukudu Private Game Reserve and Lodge has developed into a facility that is known worldwide, both as a Game Lodge, but also as a leader in the rehabilitation of orphaned wild animals, many who have been raised in the family homes on the reserve. With the passing of Ala, Lolly and Ian, the new Management Team continues to foster the vision created and at the same time keeping pace with new and innovative developments in the industry. With a Three Star Grading in place Tshukudu Game Lodge continues to offer our guests an experience that is not only unforgettable, but also unrivalled hospitality and mouth-watering homemade cuisine prepared and served by our dedicated staff, either on the open plan veranda or as is mostly the case in the evenings, around a log fire in the Boma. Up to 28 Guests can experience comfort combined with “that African touch” within our individually appointed air conditioned chalets. 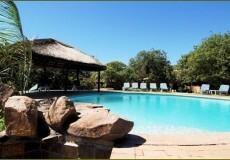 With the open grounds of the Lodge surrounded by an electric fence that is almost naked to the eye keeping the large animals at bay, the Lodge merges into the natural surroundings of the bush. Early morning walks, often accompanied by our resident Cheetah’s or Caracal, is a breath taking way to see the bush. Morning and afternoon game drives on open air Game Viewing Vehicles guided by our Team of skilled and experienced Game Guides, provide an adrenaline pumping up close experience with the African bush. 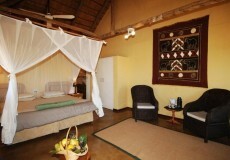 These chalets also feature en suite bathrooms and the interiors are furnished in sheer comfort, with fridge, mosquito netting over the beds and air-conditioners. The open planed reception area and lounge immediately make you feel relaxed. Each of the 14 Air-conditioned chalets/rondawels/ family units are private .. they are named after the raised and rehabilitated animals of Tshukudu and are surrounded by nature, giving that ultimate African wildlife experience of “living in the bush”. Each chalet has its own patio area complete with comfortable chairs, which offer guests an opportunity to relax on their own, and absorb the beauty and tranquillity of the African bush. 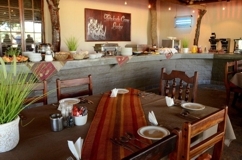 • Three meals per day – full breakfast buffet, light luncheon,high afternoon High Tea, and dinner in the open-air boma or veranda dining room (Weather dependent) .Any special arrangements may be requested (eg. Bush dinners etc.) and will attract an additional cost. 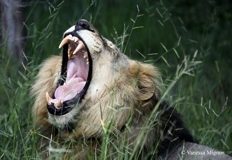 • A morning Game Drive after Breakfast in open safari vehicles, accompanied by experienced Game Guides. • An afternoon/evening game drive (Sundowner drinks for own account) in open safari vehicles, accompanied by experienced Game Guides. • Group Rates are available on request. 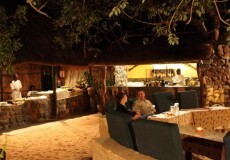 • Dinner in the open-air boma or veranda dining room (Weather dependent). • Accommodation on a sharing basis. • A full breakfast buffet. • All rates above are based on a per person sharing basis. • Children under the age of 12 years old sharing with adults are charged less 50% of the per person sharing rate. 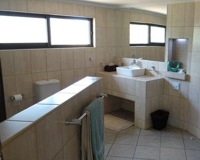 • All rates are in South African Rands and include VAT. • The child rate applies to children under the age of 12 years when sharing with two adults. 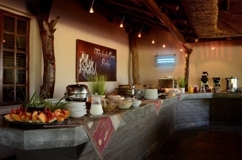 • Whilst every effort is made to accommodate children, Tshukudu Game Lodge reserves the right to provide alternative meal arrangements for children. 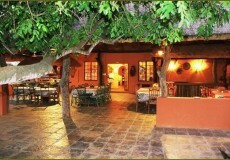 • Only children over the age of 6 years are permitted on game drives at the sole discretion of the Game Guide. 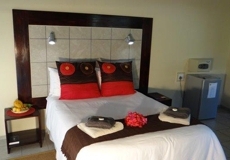 • All guests are required to sign an indemnity form on arrival. We recommend taking the N12 to Witbank , then the N4 to Belfast. From Belfast take the R540 to Dullstroom, then from here, the R540 to Lydenburg. Once at Lydenburg, take the R36 up to the Strydom Tunnel. After the Strydom Tunnel, take the R527 through Hoedspruit. At the T-Junction with the R40, turn left towards Phalaborwa. 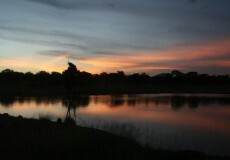 Tshukudu is situated 5 minutes on the right-hand side. it has a thatched entranceway and is signposted. Take the R40 to Mica, and then follow the R40 southbound. Tshukudu is situated +/-20 km after Mica on the left and 5 km before Hoedspruit.